TAIPEI, TAIWAN (June 5, 2018) – Acer has captured the d&i gold award at Computex 2018 for exceptional design, earning a total of four d&i awards – a collaboration between iF Design of Germany and TAITRA . Acer also earned three Computex Best Choice Awards, co-organized by TCA , in the fields of IoT, gaming, and mobile communications. The product design accolades highlight Acer’s dedication to human-centric designs and intuitive technology that empowers users. The Computex d&i (design and innovation) award winners were chosen by a jury panel comprised of international experts gathered in Taipei, with panel members specializing in different fields assessing 212 entries from 10 countries. Of the award-winning entries, only three products were recognized with the most coveted honor, the COMPUTEX d&i gold award 2018. 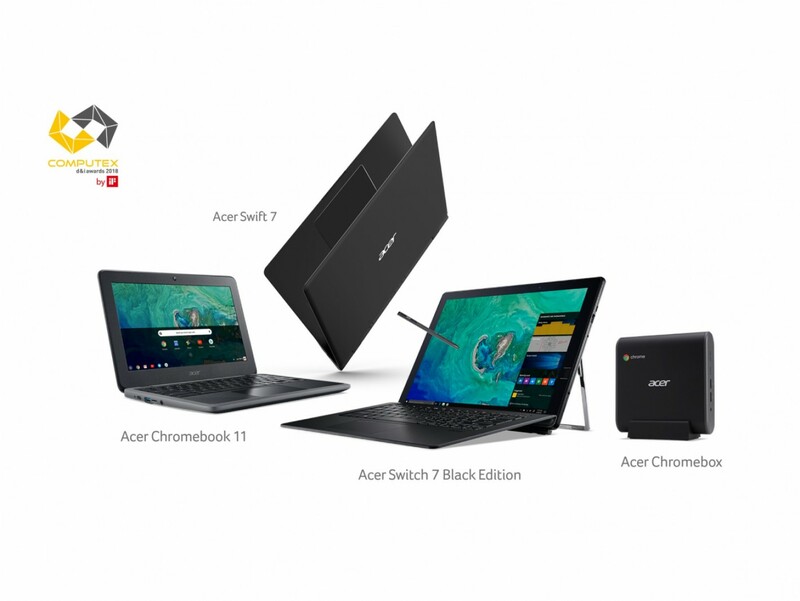 Designed for the education market, the rugged and durable Acer Chromebook 11 can handle most bumps and spills and includes optional 4G LTE for connectivity and access to data on-the-go. The reinforced case and hinges make it more resistant to twisting and stress, even if students cram them into their backpacks. In addition, the corner-shield structure and rubber bumper keyboard help protect the Chromebook so it can tolerate drops from heights up to 48 inches (122 cm). These features ensure the Chromebook will be protected whether it takes a tumble while being transported or is accidentally knocked off a desk. The anti-slip pattern on the rear case makes it easy to grip and helps prevent it from slipping out of students’ hands. The incredibly small and versatile Chromebox has a streamlined, space-saving design with three flexible modes: flat, stand and VESA mount. It’s easy to place anywhere. The Acer Chromebox is a great choice for desktop scenarios in computer labs and libraries. It sports a dual antenna design that provides a quicker, more reliable wireless connection for an overall smoother internet experience. Users can access media on external drives via the USB 3.0 port. The Acer Chromebox also has virus protection built-in, so it stays healthy while providing users with peace of mind. It uses a web-based management console that makes it easy to deploy as well as control users, devices and apps remotely. On top of that, users won't be bothered by updates as they're done automatically. The new Acer Swift 7 is the world’s thinnest laptop , designed with detail and craftsmanship. At just 8.98 mm thin, the new Swift 7 is an always-connected PC running Windows 10 that’s designed for mobility, with an ultraportable design packing a powerful Intel® Core™ i7 processor, all-day battery life and a personal, trusted 4G LTE3 connection with embedded SIM technology. 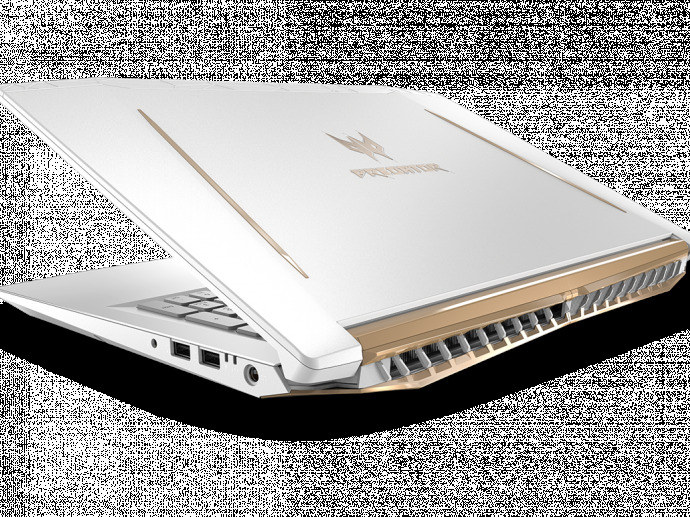 The Swift 7’s unibody aluminum chassis is pleasing to the eye and gentle to touch, perfect for modern professionals seeking a sophisticated look. The pioneering Acer Switch 7 Black Edition is the world’s first fanless 2-in-1 notebook equipped with discrete graphics, made possible by Acer’s innovative Dual LiquidLoop™ fanless cooling technology. Designed for the mobility minded, the new Switch 7 Black Edition is incredibly versatile, weighing less than 1.18 kg (2.6 lbs.) with the keyboard detached. The Switch 7 Black Edition’s slender and lightweight design features a sturdy brushed-aluminum body that offers a robust feel and beautiful tactile touch. 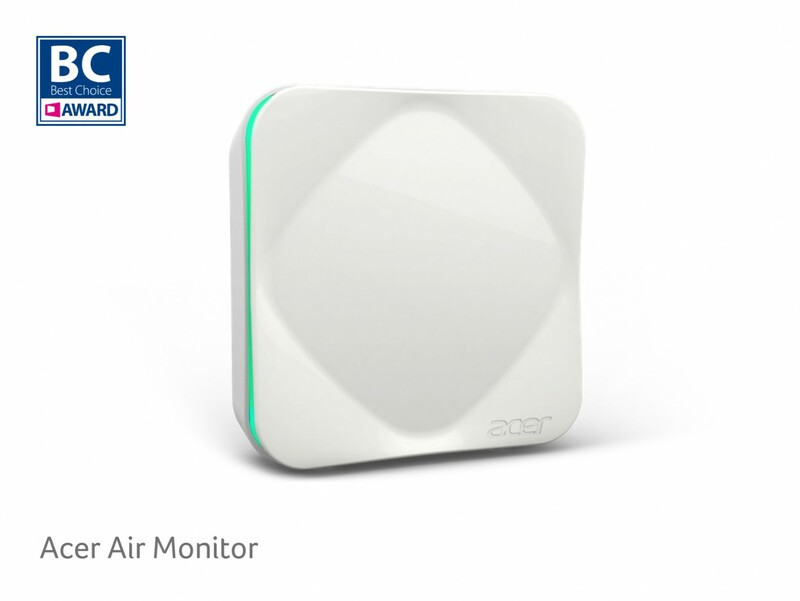 The Acer Air Monitor is designed to help keep tabs on indoor air quality, and features a sleek and simple design. 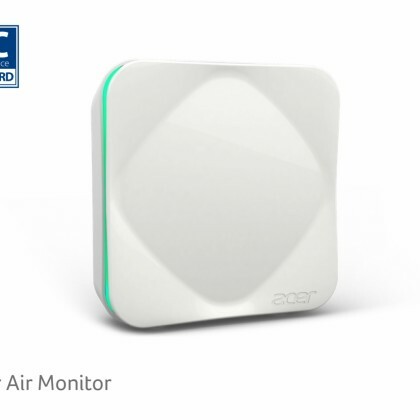 The device allows real-time monitoring of key air quality indicators through a dedicated app for smartphones, and by the changing colors of a breathing LED light embedded on the chassis. In addition, voice command can be used to ask about indoor air quality as it works with Amazon Alexa. 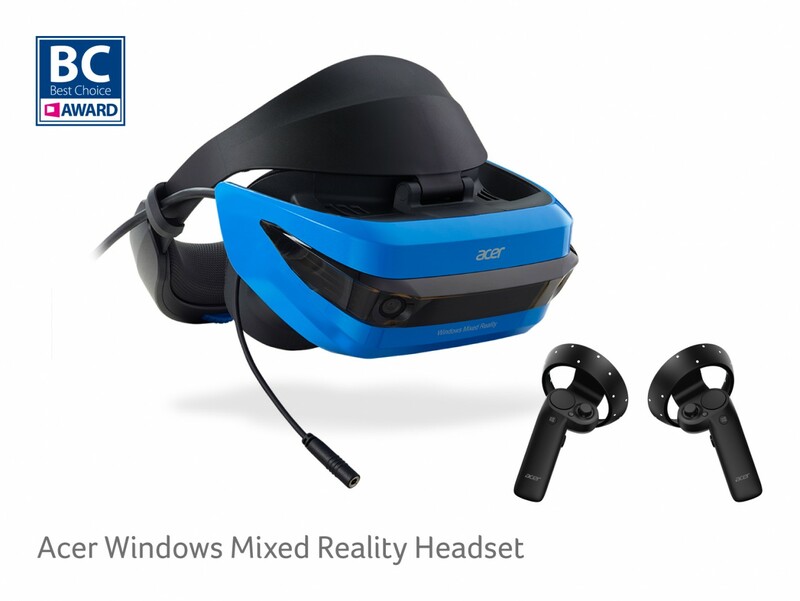 The Acer Windows Mixed Reality Headset lets customers interact with software using gesture, gaze and voice. 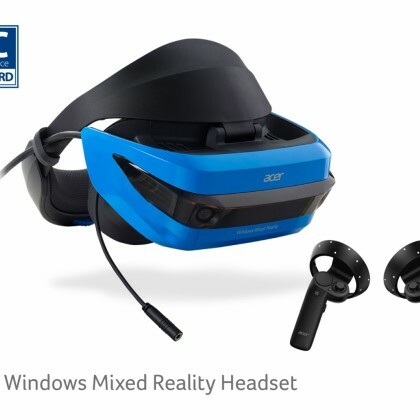 The bundled Acer motion controllers use Bluetooth wireless technology, so gamers can take action and interact with digital objects in mixed reality. They come with a Windows 10 button, touchpad, grab button and constellation lights that look cool and serve to sync the headset with the controllers in the virtual space. With inside-out tracking, the camera is on the headset, so there is no need to drill holes in a wall or set up extraneous hardware. The 6-degrees of freedom positional tracking includes forward/back, up/down, left/right as well as pitch, yaw and roll. 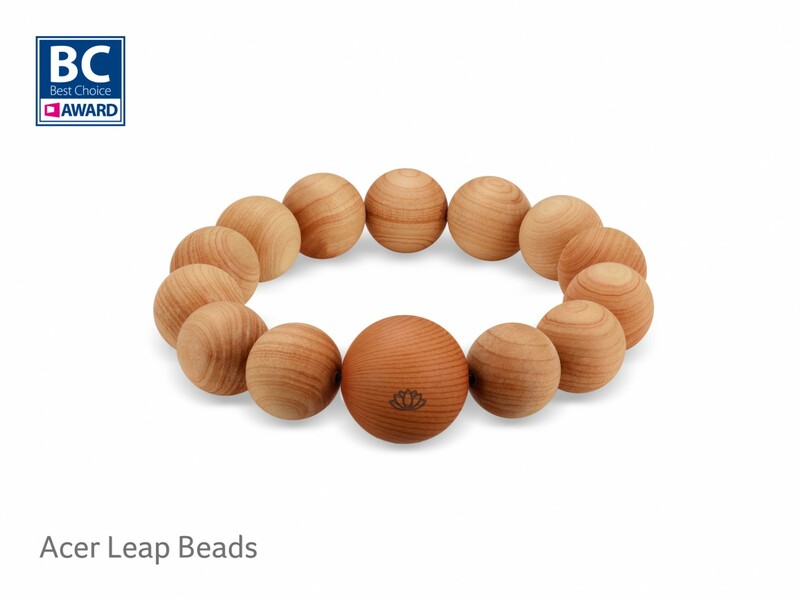 Acer Leap Beads bring culture into electronics. 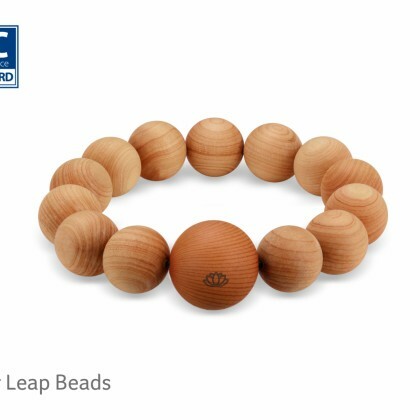 They are smart prayer beads that help practicing Buddhists count the number of times they have chanted their mantra with a chip tracking how often the mala has been rotated through their hands so they can focus on the chant and not the counting. The beads count digitalized merits, and using social media, users can dedicate their merits to friends through the cloud. It’s also a health tracking device that monitors sleep, and calories, creating a brand new user experience never seen before. 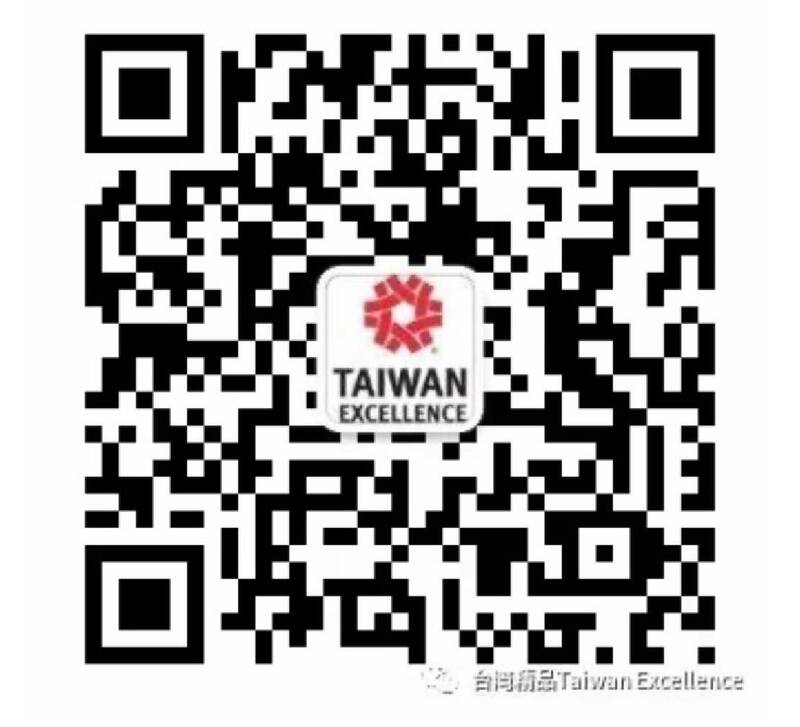 The award-winning products are showcased during Computex held from June 5 to 9, 2018. 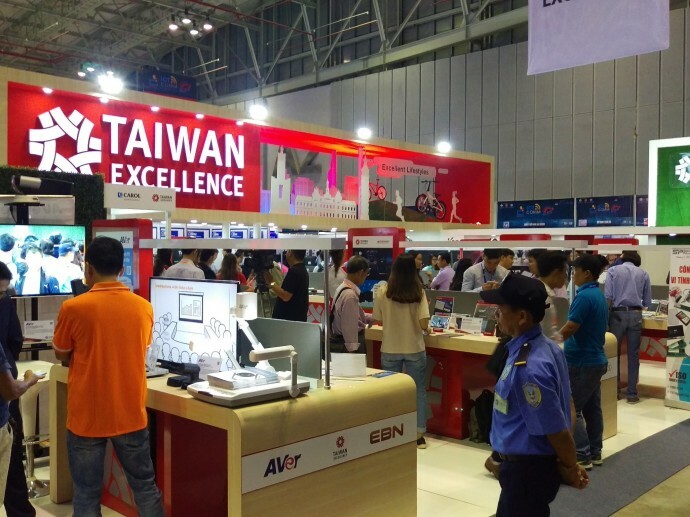 Computex Best Choice winners are exhibited at the Nangang Exhibition Hall Booth #L0317.